The full course is 58 minutes long and available in a number of affordable formats. 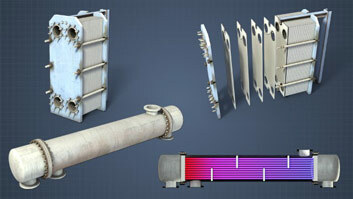 The evaporator and compressor temperatures are critical, as they cause heat to flow into and out of the refrigerant. In positive displacement compressors, the gas is confined in a chamber during compression, and energy is transferred to the gas as the volume is reduced and the gas is compressed. 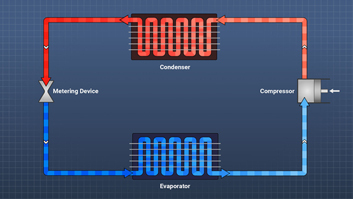 Thermostatic expansion valves automatically adjust the refrigerant flow to the evaporator to maintain the evaporator pressure and the amount of superheat going to the compressor. 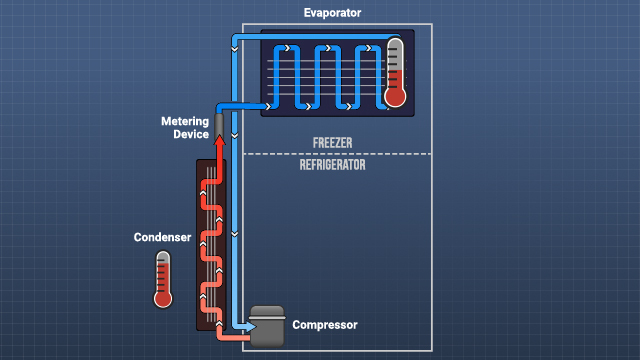 This module discusses the design and operation of the equipment used in vapor-compression refrigeration systems. The compressor is the heart of the system; it adds the energy that is needed to transfer heat out of the system and it causes the refrigerant to flow. 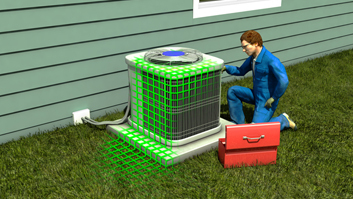 As the refrigerant travels around the closed loop system, moving heat from one location to another, it flows through a system of piping, tubing, fittings, and valves. 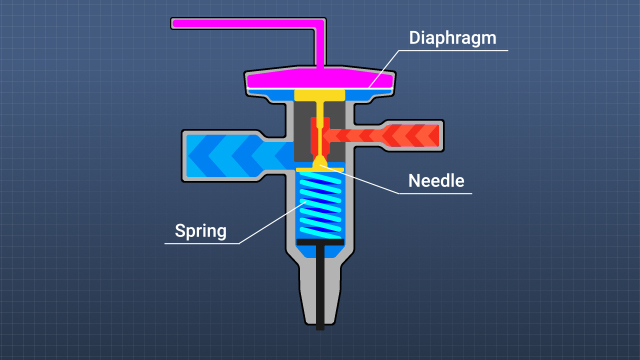 Several types of valves are used, and the most important is the expansion valve. 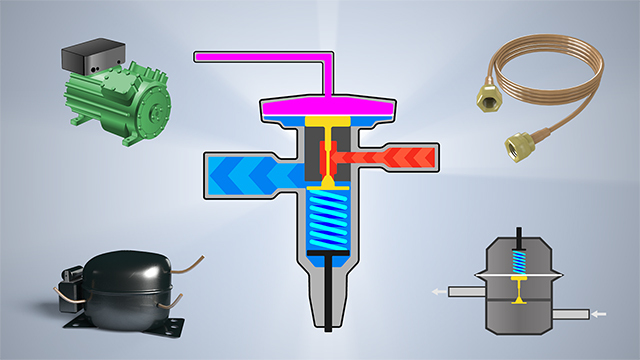 The expansion valve controls the flow of refrigerant to the evaporator, which ultimately determines the capacity of the system. 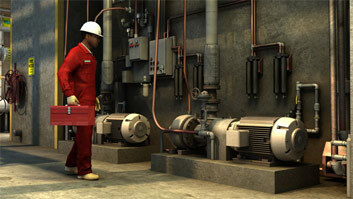 Other valve types, receivers, liquid-line filter driers, and accumulators are also covered. 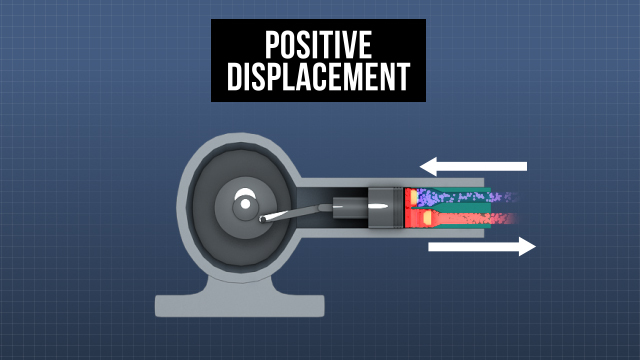 What is a "positive displacement" compressor? These compressors draw in and discharge a fixed volume of gas on each cycle and produce a constant flow of gas, regardless of the discharge line pressure. There are two types, reciprocating and rotary, and both types are used in refrigeration systems. What other types of compressors are there? Dynamic compressors (like centrifugal compressors) accelerate the gas to increase its velocity and then restrict its flow to cause an increase in pressure. With these, the discharge flow changes as the discharge pressure changes. What are some of the line size considerations in refrigeration system design? Cost, pressure drop, and refrigerant velocities must all be considered, and the ultimate design usually requires some compromises. Why is it important to minimize line lengths in refrigeration systems? This helps reduce costs (of piping and refrigerant) and lowers pressure drops in the system, which improves the capacity and efficiency of the system. Why aren't capillary tubes used as expansion valves in every system, since they are low cost and easy to replace? Capillary tubes are effective at throttling the refrigerant flow, but are not adjustable. So they are best suited to applications where the cooling load is relatively constant. Reciprocating compressors (or piston compressors) consist of one or more intake valves (also called the intake manifold), one or more pistons in cylinders, exhaust valves, a crankshaft with connecting rods and bearings, and an oil sump or lubricating system. Compressors with multiple pistons are classified by the letter that resembles the arrangement of their pistons (for example, "V" or "W"). The pistons are driven in a reciprocating action by the crankshaft and connecting rods, and the intake and exhaust valves open and close in response to pressure changes inside the cylinders. The crankshaft is usually driven by an electric motor. In smaller units, the crankshaft and connecting rods are often lubricated by "splashing" oil from an oil sump. 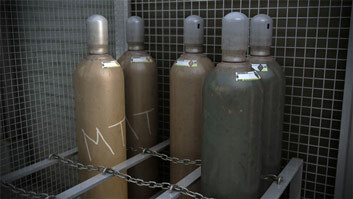 Higher capacity units often have a pressurized lube system.